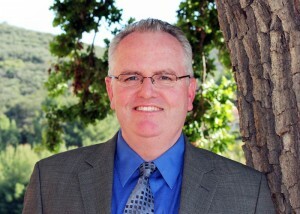 Tom Murphy is the Vice President in Aspen’s Sacramento office. He has 25 years of experience with project management, environmental planning, impact assessment, and regulatory compliance. This includes work under National Environmental Policy Act, California Environmental Quality Act, the Clean Air Act, the Clean Water Act, the Endangered Species Act, and numerous federal, state, and local environmental regulations. He is an expert in managing large on-call environmental and engineering service contracts for government agencies. Mr. Murphy is the Program Manager for Aspen’s contracts with the California Energy Commission to provide assistance in the review of applications for certification for over 119 power plants. He is the Program Manager to provide the Energy Commission with technical assistance for the Energy Program Investment Charge research and development grant program. Mr. Murphy also serves as the Program Manager for on-call contracts with Western Area Power Administration, California State Lands Commission, and Sacramento Municipal Utilities District. He holds a Masters in Physical Geography and a BA degree in Earth Science.